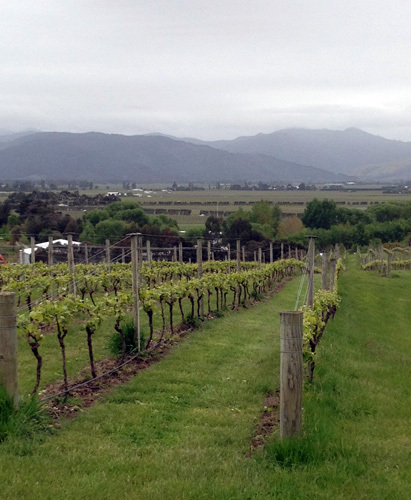 To kick off today’s instalment, a question: Do you drink Marlborough Sauvignon Blanc? If you do, what do you think of the worked oaked Sauv Blanc style? 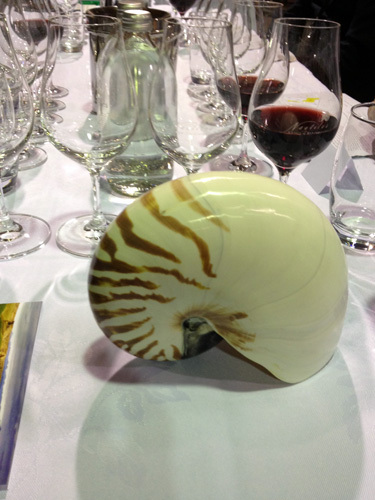 Or if you aren’t a fan of ‘classic’ Marlborough Sauvignon Blanc, do said worked styles at least hold more appeal? I ask this largely as the movement towards more ‘wilder’ styles of Sauv seems to be front of mind for many winemakers here in Marlborough (not just winemakers actually, but all the wine people) and provided plenty of discussion today. 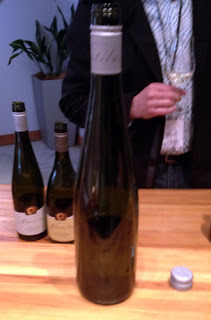 One such conversation was with some of the Auntsfield winemaking team, who recently explored – as one of a group of local winemakers – the idea of giving this new Sauv Blanc category it’s own designation, something sort of like a cross between the Cadenzia project and a ‘riserva’ style designation. The point of such a move would be to create a whole genre, a genre which would serve to evolve the Marlborough Sauvignon Blanc brand and also help customers work out what sort of style they would be getting in the bottle. I’m quite a fan of such an idea (especially with my marketing hat on) but understand that it will need careful local branding (and a feasible/minimal level of regulation) to make it a winner. The original wild Sauv. It’s always been a divisive wine and I’ve definitely not always enjoyed it. Again I’m not sure that I could drink all that much of this wine, but I firmly appreciate the form. It is an absolute biggun’ in Marlborough Sauvignon Blanc terms, with barrel ferment, lees and oak influences all imparting a serious level of richness and weight. Interestingly enough though it looks less like the old oaky asparagus juice of yore, with that overtness toned back a fraction (no doubt helped by extra bottle age). Greywacke is the newish label from the man who helped start Cloudy Bay, Kevin Judd. Kevin hasn’t really strayed too far from his roots in some ways, with this wine made at a facility he shares with Ivan Sutherland and James Healy, both of whom worked with Kevin at Cloudy Bay. Several of the Greywacke wines are produced using fruit bought from Ivan and James’ Dog Point vineyard to boot, just to complete the circle. What I’d really like to do is put this wine up alongside the similarly styled 09 Dog Point Section 94 (that I had last night) too, just for comparisons sake. I think this Sauv has the slightest edge right now but I they may switch in 12 months time, with the Dog Point’s more lean and citrussy style still a year off it’s best. The second hot topic of today was all about stems. As in Australia, the use of whole bunches in red wine production is much talked about, with the traditional Marlborough ethos strictly biased towards Pinot Noir produced from destemmed fruit. The rationale behind that is the Marlborough Pinot style has always been about generosity of fruit, not firm tannins, that the wines are typically released early with the intention that they are to then be drunk reasonably early. Further, to get stems lignified (hard and brown) enough you need to leave the fruit on the vine so long that they get too ripe and you lose vibrancy. Flying in the face of such theories (of sorts) were the results from today’s activity: Pinot blending at Nautilus (or at least my group was at Nautilus. Groups were farmed out to different wineries throughout the region). Sadly my team didn’t win said challenge (second again) but what was most interesting was that the component that looked the best (I thought so) was the one that had 20% whole bunches in it. What that particular sample showed was an extra layer of tannin and structure over the rest of the wines. An extra layer that I really enjoyed (and the winemakers did too) and was the catalyst for me (and others) to start asking questions about why they didn’t use more whole bunches more often. To answer that question, the retort again came that those dry tannins aren’t considered favourable by many. Yet in the same breath, there is absolutely no question that Marlborough has become much more serious about Pinot Noir in the last few years – a fact that you can see just by tasting the latest releases – and as part of that seriousness you’re going to get firmer tannins. What we found going around the room (with plenty of winemakers in attendance) was that many wineries too are experimenting with whole bunches, as they are playing with longer pre/post ferment maceration times, using less oak and tending towards exclusively natural ferments (like at Nautilus, which has been fermenting naturally for some years). Now I’m not suggesting that whole bunch ferments are the golden bullet – far from it – but the fact that winemakers are playing with such ‘Burgundian’ (cliched I know, but apt) techniques should be a signal that there is a new found attention on making ageworthy Pinot Noir in Marlborough, that you’re going to see a greater divergence between the top Marlborough Pinots and the more conventional commerical wines. Mark my words, Marlborough Pinot is about to ratchet up a few notches. Rather than talk about Pinot though, I want to finish today’s little diary entry on a tasting note for a wine I really didn’t expect today: a Kiwi Gruner Veltliner. Thanks for your comments on the GV! It will be interesting to see how this varietal develops in NZ – apparently it accounts for 50% of "new" varietals being planted, of which 80% is in Marlborough (info from Riversun quoted in NZ Grapegrower & Winemaker mag). A tasting last year showed quite diverse styles being produced, although of course, this is all off young vines, and may change significantly as producers get more comfortable with how to handle this grape. I think there is a lot of scope for Gruner in Marlborough going forward. Positive stuff for sure.